While working in Laos to map and disarm Vietnam War era UXO. I had the chance to work on a few archaeology projects with the delightful Marion Ravenscroft, and it wasn't long before we figured out that what was really needed was a floating archaeology lab on the Mekong, to reach the inaccessible sites that are at risk of being lost due to lack of awareness, training and cultural heritage education. 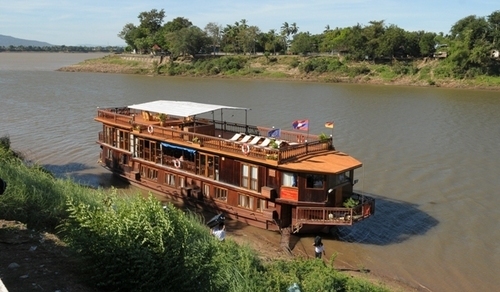 Proposal for a Riverine Archaeological and Anthropological Curation Studio, Interpretive Museum, and Educational Outreach Vessel on the Mekong River in Laos. Laos has a rich cultural heritage, yet many Lao people are unaware of cultural resources hidden around them. A mobile Curation studio, in the form of a traditional Lao Long Boat, could visit man areas of the nation, allowing Lao citizens to learn how protecting their heritage can be done. Under direction of the Lao National Museum, Chief Curator Marion Ravenscroft would provide educational services in remote locations teaching villagers how to identify and report cultural resources and sharing how they are important to the history of the country. Curation of important objects could begin in the studio, and later be transfered to the National Museum. The Vessel could also hold small traveling exhibits of artifacts representing cultural heritage.. Designed for extended voyages, the vessel would be large enough to accommodate the studio and exhibition space, as well as quarters, for crew and staff, a kitchen, and etc. Click here to read my blog posts from Laos. 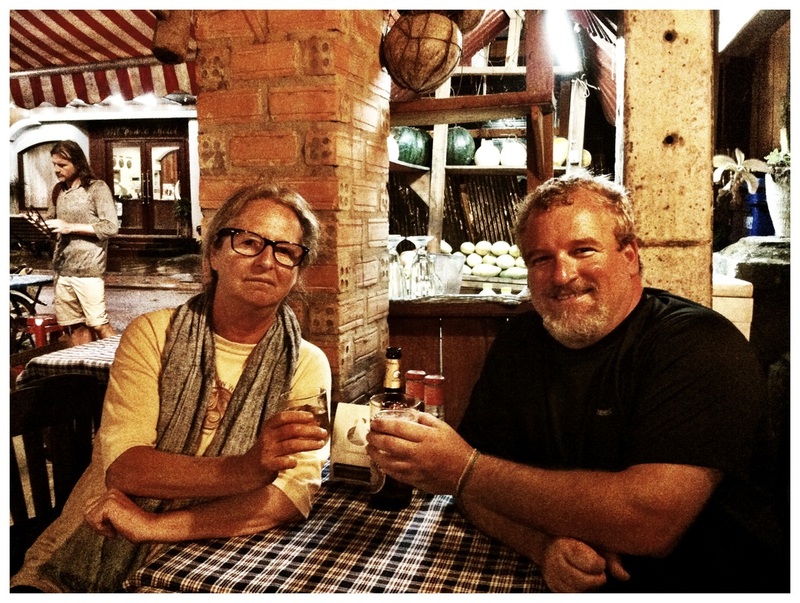 Maz and American Archaeologist Mark Padover in Vientianne earlier this year. Marion let me share her office for a bit while we searched for the remains of the historic Vientianne City Wall.